Something was missing this week, when the RTM considered Westport’s 2 budgets. On Monday night, the legislative body unanimously approved $79 million in town spending for 2015-16. That’s a 2.51% increase over the current year. Included in the funding: $37,714 previously cut from the Transit District. Last night, the vote was again unanimous: $111 million for the Board of Education. That’s a cut of $300,000 from what the Board of Finance approved in March; it’s up 1.8% from last year. RTM members praised Jim Marpe’s administration, the superintendent of schools and Board of Ed for the care and scrutiny with which they prepared their requests. Budget season in Westport used to be high drama. 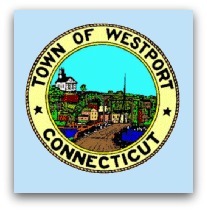 Proponents claimed that every dollar was sacrosanct to the future of Westport. Opponents shouted that massive cuts were needed to avoid fiscal ruin. Invective would spew. Referendums were threatened (or actually held). Things got ugly. And the next year, the same thing happened all over again. Budget season has been quiet for a while now. A couple of elements are at work. Selectmen, the superintendent and Board of Ed have been prudent and honest in their requests. They’ve worked closely with the Board of Finance to understand what’s realistic — and the Board of Finance has worked hard to understand realistic requests. All sides have tried to balance the all-important (and very elusive) concept of “quality of Westport life” with the economic realities of the 21st century. Political posturing has been replaced with true bipartisanship. No one in Westport threatens a government shutdown. No one wants to sequester funds. No one panders to a special set of constituents or supporters. That’s the way democracy works. Or it’s supposed to, anyway. We haven’t heard a lot of names of local politicians lately. Many Westporters don’t even know who is chairman of the Board of Finance (John Pincavage) or Board of Ed (Michael Gordon). One is a Republican. The other’s a Democrat. Together, they and their boards govern effectively — and without egos. The Board of Finance sets the official mill rate 2 weeks from today. A minimal increase is expected from the current 17.94. This entry was posted in Categories, Economy, Education, Local politics, People and tagged Jim Marpe, John Pincavage, Michael Gordon, Westport Board of Education, Westport Board of Finance, Westport RTM. Bookmark the permalink. Maybe we should send them all to Washington. It wouldn’t work, it’s something in the water down there! Seemingly rational and pragmatic folk can start frothing at the mouth after spending less than 24 hours in our nation’s capital. Who is “Doug”? And actually, there was a $500,000 surplus in the current budget. It came from not hiring 3 teachers, and retirements of others. The funds will be spent on school maintenance. Sorry, Dan. Was thinking about some other guy….still, bet you $5 he asks for more $$$. Take the bet? What a relief. We had a surfeit of ugly via Brandy Melville. I’m continually impressed by the “work it out” mentality in our town goverment and the determination to be the best town we can be, even when the choices are tough. Well done! When we elect people, not based on party but on intelligence, commitment to the focus on costs and execution with a knowledge of business who want to see the town succeed, we win. I can speak about Jim Marpe, he is a good man with the experience and desire to lead this town. Not for himself but for all of us with an understanding that spending creates issues. Congrats to Westport. And thank you Jim, John and Michael. Your dedication to Westport is much appreciated. Read your story with interest. There is some significant historical misinformation but that aside please refresh my memory. I don’t recall that there was a referendum or even threat of a referendum in the past 25 or more years. And in Connecticut a referendum is not brought by the administration or a political party. It is brought by members of the public and petitions. Sorry – I meant that referendums were threatened by the public. Thanks, Don. And thank you and your fellow Westporters for all you have done – and continue to do – for all of us! Don O’Day certainly laid down the foundation! Thank you. While we have a solid team of leaders watching over our budgets-expenses and revenues, please know the opposite is happening in Hartford with our Governor. TAXES ARE GOING UP AGAIN. Please don’t shoot the messenger, but he can not understand that giving away benefits and overtime and pensions that you cannot afford will eventually come back to haunt you. Now Hartford is looking at not only raising income taxes and making it retroactive to January (he did this just a few years back) but now we will have to not taxes in such services as dry cleaning and golf. Yes-longshore will have to raise green fees to collect the new taxes. Dry cleaning and laundry – excluding coin-operated. Our town has been evolving in to a continuous string of more sensible budgeting and spending. The election of Jim Marpe was the frosting on the cake! My beloved husband, Gavin Anderson, would be so happy if he could read this blog and the comments.